The sixth album of Le Trio Joubran, a landmark and a new landscape in their musical convictions. 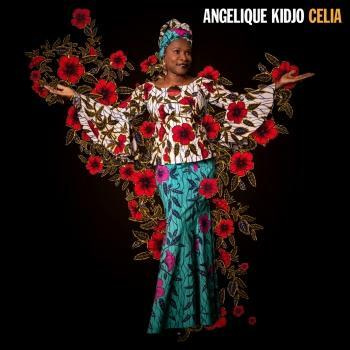 Through their mesmerizing music, they honour the struggles and oppression of indigenous peoples around the world and especially affirm that their music should be a part of the struggle of the Palestinian people for recognition and liberation. Le Trio Joubran and the former Pink Floyd legendary Roger Water’s co-wrote the track "Carry The Earth" and dedicated it the four young cousins who were murdered whilst playing football on Gaza Beach. The title of this track is from a poem by the great Mahmoud Darwish The dead who die to carry the earth after the relics are gone". 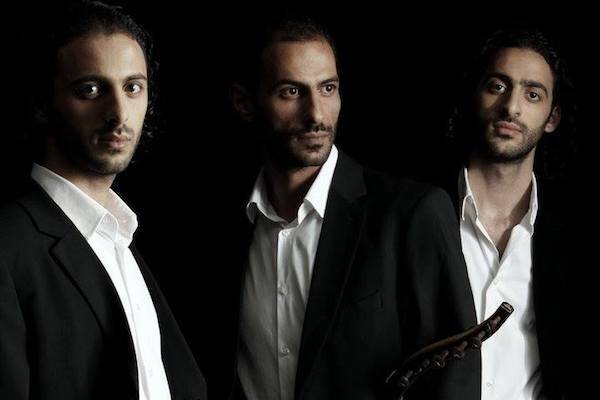 Brothers Samir, Wissam and Adnan Joubran have been touring the world with their ouds for the past 15 years, including at the likes of WOMAD in the UK. Through their mesmerizing music, they honour the struggles and oppression of indigenous peoples not only in the Middle East but around the world and especially affirm that their music should be a part of the struggle of the Palestinian people for recognition and liberation. In Arab origin, the Oud is considered the king of all instruments, and these brothers play the instrument like no other. The Long March, their sixth album, is a landmark for the band and a new landscape in their musical convictions. 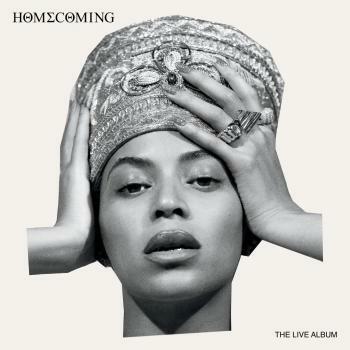 The album was produced by acclaimed Parisian producer Renaud Letang, who has worked with everyone from Jean-Michel Jarre to Mano Chao to Bjork, at the Studio Ferber in Paris. 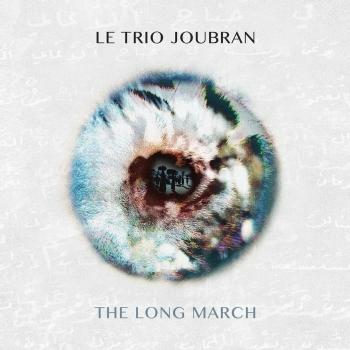 Le Trio Joubran teamed up with former Pink Floyd legendary singer and activist Roger Water’s for the track Carry the Earth. The track is dedicated to all those who die for their land but especially to a tragic event when four young cousins were murdered and lost their dreams whilst playing football, as they’d done so many times before, on Gaza Beach. The title of this track is from a poem by the legendary Arabic poet Mahmoud Darwish – “the dead who die to carry the earth after the relics are gone”. They again collaborated with Darwish for the track Time Must Go By where the poet’s timeless words meet the Trio’s sound in a spellbinding and beautiful union. Their mastery of « Oud » is singular and so are the harmony and the synchronization that they perform all over the world, before different publics united by the Trio's authenticity and excellence. The percussion is performed by the master Youssef Hbeisch who enriches the Trio's compositions by enchanting rhythms and notes. Le Trio Joubran, three brothers from Palestine, musicians sought after worldwide, are progressing in their art thanks to a big amount of individual and collective effort and to the deep love and respect of music and public.